Item No. 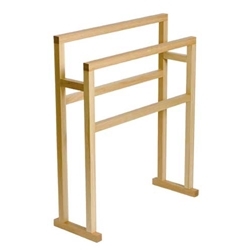 756 Natural Oak Towel Rack. Clean, smooth, architectural element with four horizontal bars for hanging.